Unless you’ve been sleeping under a rock, you understand that today’s business environment is evolving rapidly with the emergence of new technologies, such as cloud computing, social networking and next generation mobile computing, as well as the interconnections between the corporate networks and other networks for sharing information and conducting business online. The wave of technology innovation are being rapidly adopted across businesses and other institutions, creating unparalleled levels of access and connectivity across people, information, systems and assets worldwide – collectively a network delivered society. This unparalleled level of access has raised the importance of cyber security as a specialized function in businesses for many reasons. The traditional boundaries that formed the basis for securing business assets have, by necessity, become increasingly porous, due to this new, routinely wireless and ubiquitous “always-on” connectivity. Hence, a major challenge for businesses today is determining how to embrace disruptive technologies and trends such as “everything connected,” cloud, mobile, and social computing, while at the same time managing the inherent risks of conducting business in cyberspace creates. This is especially true, as the reliance of information technology to enable business also increases the touch-points of the business that can be exploited by cyber criminals. IT professionals play the crucial role of generating value through the use of information technology and aligning it with the business strategies. They managed information technology to provide efficiency and effectiveness of strategic decisions, making use of systems, such as transaction processing systems, decision support systems, expert systems, and executive information system, to name a few. The role of the IT professional helps the organization to maximize its benefit from IT investments with the proper utilization of peoples, business processes, and related technologies. While traditional IT professional has always included practice areas related to hardening the information processing systems including communication network, application, database, mobile computing device, and the cloud computing environment, the cyber world that we live in today has created host of new vulnerabilities that IT professionals must contend with but often are not well equipped to handle. For example, the frequency and scale of cyber-crime as a result of this open and network-oriented society, coupled with an explosion in the use of edge devices and cloud applications, as well as increasing regulatory requirements, has created an urgent need for organizations to rapidly advance their security countermeasures and re-think traditional approaches to IT security. And the importance of cybersecurity is far broader than simply addressing one issue such as securing data, securing mobile devices, or securing cloud computing environments. Nearly everything is interconnected and further complicated with hybrid enterprise environments that consist of a mix of cloud, non-cloud, internal and external IT service delivery models. These factors are creating security related stress to traditional IT professionals and organizations. With prominent cybersecurity breaches becoming a somewhat regular occurrence, including recent attacks on companies to hack money from customers, organizations around the country are frequently outgunned in the fight to protect their essential information. The problem isn’t bound exclusively to the private sector either, with government agencies still struggling to defend themselves against cyber invasions from both international and domestic threats. As a result of these and other high-profile cases of compromised information, the field of cybersecurity has experienced a surge of attention. The importance of cybersecurity, as a result, is rising to become an integral part of an overall security plan and IT security team. Many organizations are addressing cyber-attacks as an enterprise-wide challenge to minimize the potential impact. Cybersecurity is focused on the leakage (or loss) of sensitive data, intellectual property, and protecting digital assets – everything from networks to hardware and information that is processed, stored or transported by inter-networked information systems. Managing cybersecurity is clearly much more than that of the traditional security services delivered by IT professionals. Cybersecurity seeks the ability to protect or defend the use of cyberspace from cyber-attacks. It is a field that demands skilled professionals who possess the foundational knowledge, education and thought leadership necessary to confront the difficulties that accompany constant technological change. Advanced threat vectors, emerging technologies and myriad regulations require cybersecurity professionals to be skilled in technology as well as business and communications. As cyber-crime evolves, we see cyber criminals constantly innovate their threat tactics to more efficiently breach organizations and make off with valuable data. Keeping up with new attack techniques, and effectively defending against advanced threats, is perhaps a unique trait of cybersecurity professionals. In a world of cyber threats where the only constant is change, architecting a cybersecurity solution that dynamically adapts to constant change is crucial. Cybersecurity is a specialized practice, demanding mastery of a number of unique skills in computational theory and practice from its most effective practitioners. Ensuring that servers, intranets, and channels built for data transfer remain protected and accessible to only those permitted, for example, falls under the realm of cybersecurity. While the cybersecurity professionals must be specialized in all of these areas, the IT professionals may have the knowledge of only one or several of the many areas of the IT fields. In some cases, information isn’t the sole point of sensitivity, at least not directly, as some hackers are more interested in uncovering passwords and gaining access to closed networks so they can manipulate data and websites or shut down essential functions. This necessitates a complete focus on rendering all points of vulnerability inaccessible to the prying eyes of hackers and cyber-terrorists in every interaction between a PC or mobile device and a network or server. This is the wider aim of cybersecurity, and exactly the need that makes cybersecurity professionals so highly in-demand by businesses and other organizations. What would a computer virus look like if they were infecting people? Watch entertaining videos as this impossible scenario is played-out. See what would happen if the ILOVEYOU virus, Poison Ivy virus, or even ransomware virus infected people. Watch computer viruses infecting people. Cyber-attacks, cyber-criminals, and cyber security are dominating the headlines. The appendage of cyber-criminals span the globe, executing cyber-attacks and pursuing financial gain through theft of identities, stealing intellectual property and disrupting businesses. Cybersecurity plays the significant role in combating with cyber-attacks in today’s rapidly-evolving technology landscape. New trends in mobility and connectivity present a broader range of challenges than ever before as new attacks continue to develop along with emerging tactics. 2016 was a challenging year for all things cyber. The cyber world saw many attacks with a goal of financial gain. We saw nation-states threatening cyber-attacks around the US election. And, we saw the revival of the security versus privacy debate that rages on. It was the year that brought major breaches at TalkTalk with an accompanying £400k fine. The hack resulted in the attacker accessing the personal information of more than 150,000 customers of the internet service provider, including sensitive financial data for more than 15,000 people. Several ransomware attacks in 2016 occurred due to a vulnerability in the apache commons-collections library. Attackers exploited this vulnerability, remotely installed ransomware on servers running unpatched versions of certain Java application servers. And of course, cyber-attacks were big news leading up to the 2016 election in the United States. Email accounts belonging to John Podesta and Colin Powell were hacked using phishing attacks. The DNC’s servers were also compromised, resulting in the theft of several staff members’ emails. But with as much that occurred in 2016, 2017 is the year for even more headlines. For example, on January 2017, the Emory Healthcare faced the largest health data breach attack on a database used by for patient appointments. The incident exposed data on almost 80,000 individuals. And Yahoo CEO Marissa Mayer won’t be paid her annual bonus nor receive a potentially lucrative stock award after an independent investigation into security breaches at the search giant found that the company’s senior executives and legal team failed to properly comprehend or investigate the severity of the attacks. The results of the probe, including new details about the 2014 security breach that the company suffered – which compromised the personal information of more than 1 billion users and already have cost the company $350 million. Another top cyber security trend of 2017 is continued improvements in relevant regulations and intervention. The dynamic and fast-moving nature of cyber security is moving from businesses to the general public, creating new challenges for governments. The trend for more regulations is prevalent. For instance, The New York Department of Financial Services (DFS) has proposed regulations to ensure that institutions better protect themselves. While praising the work that members have done to proactively increased their cybersecurity programs, the regulation will require each company to assess its specific risk profile and design a program that addresses its risks in a robust. In another example, the government of Indonesia is currently accelerating its efforts to establish a national cyber security agency. This idea to have a nationwide cyber security watchdog has been brewing for quite some time. And in the US, President Trump is likely to look for ways for the National Security Agency and other agencies to assist the government and companies defend against cyber-attacks, said Jeffrey Eisenach, a visiting scholar at the American Enterprise Institute and a tech adviser during Trump’s presidential transition. Cyber-criminals are continuously improving their arsenal to breach defenses. While security engineers are working towards to protect the data, in the other side of the space, attackers are changing their methodology from pure data theft and website hacking to attacking data integrity itself. These type of attacks, in comparison to a straightforward theft of data, will serve to cause long-term, reputation damage to businesses by getting people to question the integrity of the data in question. To fight with the bad guys, IT investments are increasing rapidly. The spending on IoT security reached $348 million worldwide in current days, which is seems climb to $434 million in 2017. But that likely won’t be enough because analysts still think that by 2020 more than 25% of all identified attacks in the enterprise will involve IoT. And the specter of ransomware continues to rear its ugly head. In fact, with Trend Micro predicting 25% growth in 2017, ransomware looks likely to spread into IoT devices, PoS systems, and ATMs. To protect the devices as well as the ultimate protection of corporate networks, organizations are paying high volume of money in security infrastructure. A global shortage of cyber security-skills in the workplace arguably makes organizations more desirable targets for hacking. Demand for expertise will rise as companies realize that their current security strategy is not sufficient. People are a critical component to fighting cyber crimes. Many businesses are finding technology alone is not enough. With more than a million vacant positions worldwide, there have never been more jobs available in cyber security. To maintain a solid cyber defense, businesses need to have IT professionals with advance skills in threat intelligence, virtual engineers, and, ideally, ‘hunting teams’ that can scour the Dark Web. But these skills are scarce and expensive. According to ISC, by 2020 there’s expected to be a global shortfall of 1.5 million cybersecurity experts. As a result, many organizations will be looking to outsource these activities to external specialists in the year ahead. What Trends Will Steal the Show? Threats agents are now more sophisticated in their attacks and use of tools and attack patterns are now being applied to computing devices. This is very much concern for mobile and other small digital devices that are interconnected and often have poor security controls. Cybersecurity has risen to the top of the international priority list in areas ranging from politics to national defense and from smart homes to our global economic system. With new drones, artificial intelligence, social media websites, robots, autonomous cars, smart city infrastructure, and a plethora of Internet of Things (IoT) devices coming onto the market daily. Are businesses prepared for the next-generation cyber-attacks? It will be interesting to see which of these top cyber security trends of 2017 will steal the show. It seems there’s a new IT solution for every strain of ransomware! Perhaps not this many, but it does seem like a lot. According to a recent CNBC article, more than $680 million was invested in cybersecurity companies in 2016, much of which was invested in technology solutions. But considering the importance of protecting businesses and organizations like hospitals from cyber-attacks, which can be crippling, the investment seems warranted. What is often overlooked, however, is technology alone cannot stop cyber-criminals. Businesses need cybersecurity pros to manage the technology. Guns don’t win wars, armies do. 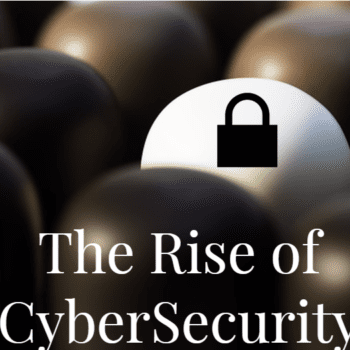 The good news is cybersecurity as a profession is on the rise. According to Forbes, cybersecurity is an in-demand field, with the average salary of $116,000. Curious as to how training comes into play is the surprising number of training and educational programs dedicated to cybersecurity. In fact, a number of schools are providing specialized bachelor curricula dedicated to cybersecurity. According to a recent ransomware awareness survey conducted by MonsterCloud, large enterprise businesses are aware of ransomware and other cybersecurity threats and have taken the necessary precautions to minimize cyber risks. In fact, it’s one of the top agenda items for corporate risk officers. However, many mid-sized and smaller businesses simply don’t have the internal cybersecurity skills or infrastructure. These businesses need cybersecurity pros as well, and perhaps even more so, as these business are a frequent target for cyber-attacks. (The criminals are well aware of the fact that defenses of smaller businesses are much more vulnerable than that of enterprise companies). So what’s the right cybersecurity solution for small and mid-sized businesses? While technology seems to be the focal point for stopping ransomware and other malware attacks on businesses, clearly technology alone is not enough. Skilled cybersecurity pros are central to thwarting attacks, mitigating risk associated with cyber-crime, and helping businesses recover once an attack occurs. Outsourcing cybersecurity or managed cybersecurity services is one very viable solution. It makes a lot of sense as a company that specialized in cybersecurity can provide the scale at an affordable price to support many companies, making enterprise-grade cybersecurity available to companies of all sizes. MonsterCloud’s expert cybersecurity services were recently featured in Small Business Computing, How to Protect Your Small Business from Ransomware. While all large businesses have taken steps to combat ransomware and most midsized businesses (91 percent) have done the same, only 15 percent of small businesses have secured their email, data and backups as a precaution. Only 1 percent of small businesses polled by the company said they fell victim to ransomware, but considering that the U.S. is home to 28.2 million small businesses, hundreds of thousands of them are at risk. See the entire Small Business Computing article on How to Protect Your Small Business from Ransomware. What are the biggest IT pet peeves according to employees across the United States? And is the quality of technical support perceived differently at small, medium, and large companies? We asked questions like this to over 2,000 workers to identify the biggest technological pet peeves in the workplace today.